Traditional PR is no longer as effective as it used to be only a few years ago. Nowadays, it is growth hacking that is now winning the hearts of start-ups. Although at the same time many experts ironically announce the forthcoming of such related professions as “profit hacking” or “cashflow hacking”, one thing is certain – you have to test new tools al the time and be able to choose the best way to do PR. While researching the opinions of Polish marketing specialists and influencers on GH, I have come across an interesting discussion on FB, brought up by Greg Pietruszyński. “It is not the matter of any ideology, it is about efficiency. It is not about reinventing the wheel, but rather about deciding that from now on, »we will only deal with matters that directly translate into higher revenue.« It is about an old profession being already redefined. Of course, the real question is, to what extent such keyword creativity will be effective?” he wrote, inviting to the discussion: Paweł Lipiec, Artur Kurasiński, Michał Brański, Kuba Filipowski and Wiktor Schmidt. The answers were mixed; some argued that, along with “profit hacking” or “cashflow hacking”, it was merely a way of creating more jobs. For Artur Kurasiński, growth hacking was “a CFO dedicated to dough flow,” or “an admin making sure that Millennials keep clicking on the website.” According to him, one person could develop a strategy only to whine that no one was implementing it. “So far, in my opinion, the whole buzz about GH is aimed at selling courses presenting the obvious truths – if someone truly believes, and has any supporting evidence, that they can »upgrade« businesses, why don’t they go to their colleagues from e-commerce and tell them they would improve their conversion rate by 1% (e.g. at Amazon, or even at Allegro)? E-commerce people would buy such person the latest Porsche the following day if they succeeded. As of now, GH is used as a sales sheet for those seeking »a fast and easy way to…«,” wrote Kurasiński. He also emphasised that a successful campaign depends on the whole team, not just on “the one smartass who can make all the difference on his own.” Today he argues that the main problem with growth hacking is “developing a theoretical background to what has already been in place,” as everyone needs an extra tool to improve their sales. Moreover, according to him, it is a “very imprecise conceptual range.” Well, I can hardly argue against it. Nevertheless, Kurasiński admits that he has tested certain GH methods himself and that it is “a good basis for creating interesting projects.” And it is this very concept, given the popularity of the PESO model, that I am going to focus on. Growth hacking was mentioned by Sotrender’s Jan Zając during one of our webinars. He pointed out that although for a PR specialist it is more important how specific goals are achieved rather than how soon they are achieved, there are certain tricks that support the implementation of PR objectives. Are they worth applying? Ryan Holiday, the author of Growth Hacker Marketing: A Primer on the Future of PR, Marketing, and Advertising, has no doubt about it: ” Growth hackers were the secret weapons behind the launches of some of the biggest or hottest companies on the planet. Facebook, Twitter, Uber, Square, Airbnb, Dropbox. These brands came out of nowhere and acquired, collectively, billions of users. Growth hacking was the scientific and scalable marketing approach behind it,” he said in one of his interviews with Forbes. And even highlighted that growth hacking appeals to the right brain-leaning engineer set. Then we have Airbnb, where 40 per cent of users were attracted by the Get Free Stuff/ Referral Program. Or Hotmail replacing the signature at the bottom of each message with “PS I Love You,” or Mailbox and a wait list for application activation – which could take as long as a month – “due to originating too much interest” and the need to synchronise the app with Gmail. 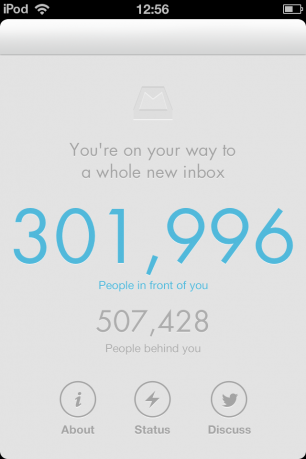 By doing this, Mailbox attracted a total of one million new users within one week. Tim Ferris’ book became a bestseller in a similar way, through partnership with BitTorrent, where a large part of the book was available for download for free. Polish examples? Ceneo, which successfully used the potential of indexation of search results for the main keywords relating to e-commerce on the first page. Such companies broke the rules of marketing and built huge brands as a result and they did it very very quickly. What they didn’t do is a great illustration of what growth hacking is. They did not spend a ton on paid advertising, they did not wait for approval and endorsement from celebrities, they did not employ PR agencies, choosing to monitor the effects of their actions themselves instead. “All of that makes me question the wisdom of most marketing books and blogs out there,” Holiday said in one of his Forbes interviews. According to him, GH is less creative but it makes up for it by being flexible and scalable and efficient. In the opinion of Tomasz Górski (Saasgenius), a growth hacker should have an unorthodox approach to the role of marketing in the company. A good example of how a growth hacker thinks in order to find a way to support dynamic growth is predicting the upward trend which might revolutionise the methods of searching for information in the future. Once you have learnt the theory and the key notions relating to growth hacking, the first natural step is to be ready for lifelong learning. And for vigilance. While Snapchat, applauded by many, is introducing fees, Facebook offers its users free 360 degree videos and announces tests of the comment reaction button. Nowadays you need to react fast and to seize the right moment. Górski advises to improve your competences by joining the growth hacking community whose members would be willing to share their knowledge. On FB you may want to check Growthhackers group or join Growth Hackers TV community. What marketing tools Górski uses at daily work? Brand24, Moz, Colibri, Google Analytics, Webmaster Tools, Impactana, Ahrefs, Buzzsumo, Buffer, SalesManago, Unbounce, Clicktale, Typeform, Outbrain, Sniply, GetResponse UXPin, and Majestic. Personally, I would also add KissMetrics (if your website generates decent reach but you want to improve conversion), Bounce Exchange and Crazy Egg (in order to better understand the public), Intercom.io (when you need support for your content, from e-mail marketing to user engagement measurement), as well as Keywordtool.io. 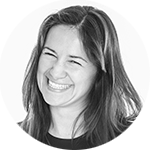 Once you have the tools, ask yourself a couple of questions: Who are your ideal early adopters? How can you make your platform particularly enticing to them right now? Why is this service indispensable? Or do you make it indispensable to them? How willing and prepared are you to improve based on the feedback and behavior of these users? What kind of outstanding thing can you do to get attention – something that, ideally, no one has ever done before? And most of all: how are we going to track this? Than define your goals, do your homework regarding keywords, create your client’s profile and improve your product based on early feedback and response. And remember – do not think that marketing is an activity you will have time for after e.g. the launch of a new service. Make something you think people truly, undeniably want. Don’t try to have some blockbuster. Start small. Teach your early adopters how to use your product properly. Build out features and marketing efforts that will retain users and encourage them to spread and share your product. Take advantage of viral lift. Let your customers to be public about their usage.